One of the hardest parts about decorating a home is color coordinating. 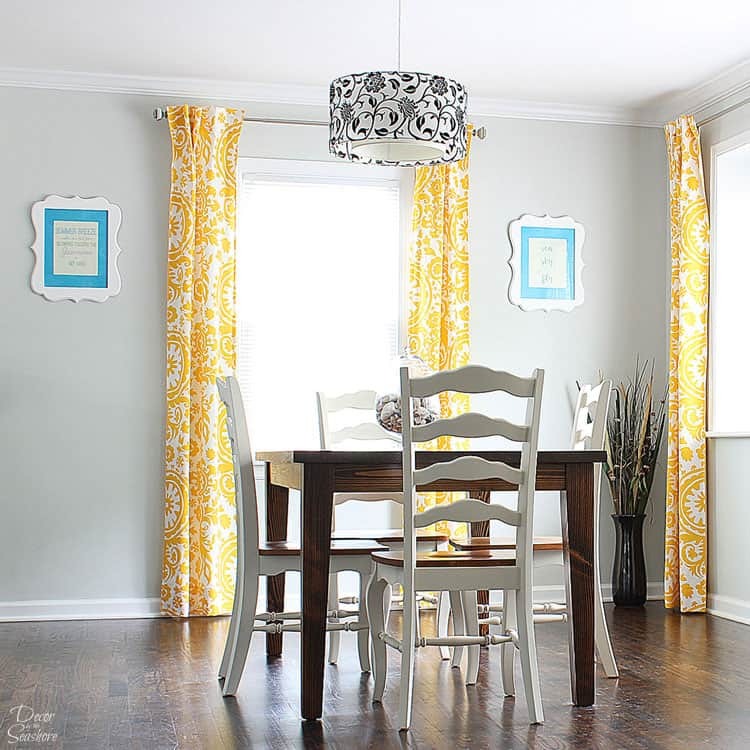 Trying to make the 1,000 different colors in your home look like they belong together can be a nightmare, and doing it all within a budget can seem nearly impossible. However, it is definitely possible to color coordinate your home on a budget with a few simple tricks. I think one of the reasons farmhouse style is so popular right now is that it’s pretty easy to color coordinate. It’s mostly a lot of whites and neutral colors, so it’s hard to go wrong. But if you love color like I do, you’ll find it’s actually possible to create a beautiful home full of color and still make it look color coordinated without going to extremes like all white. And the best part is, you don’t need a huge budget to do it! Stick to neutrals for larger items like furniture and walls. 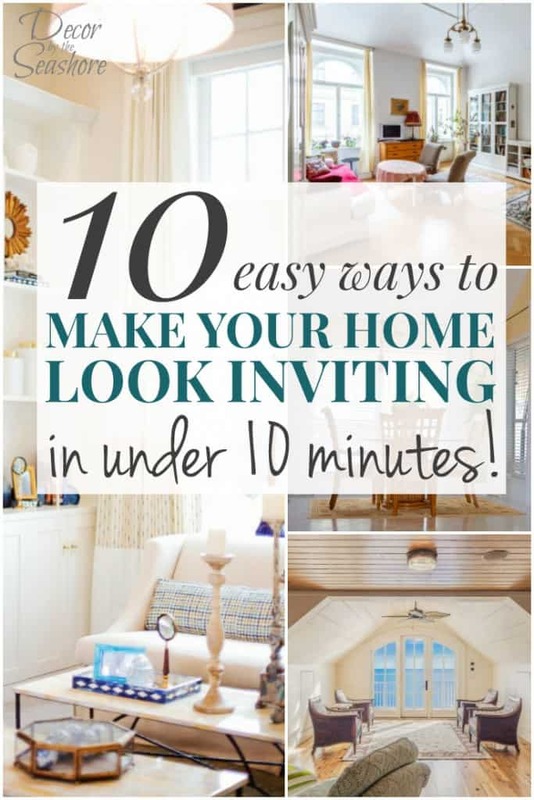 This will save you money in the long run, as you won’t need to repaint an entire room or reupholster a couch when the pattern goes out of style. Neutral colors are timeless and can last for decades with proper care. Plus, having large pieces in a neutral color will really help your colors stand out! Create a color palette of a select few favorite colors for the majority of your accessories. What colors do you love so much that you never grow tired of them? When you see something at the store that you just HAVE to have, what color is it usually? Look around your house and take a note of which colors appear the most in your decor. A peek into your wardrobe will also tell you what colors you really like. 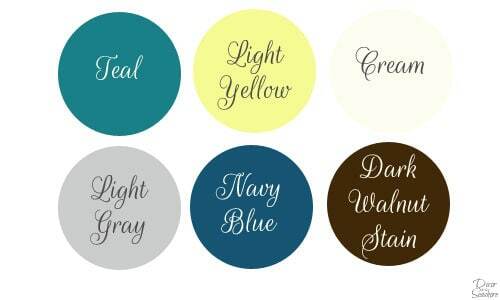 Include some of these colors in your palette to create a home color scheme you’ll truly love for years to come. Use decor, accessories, and accent pieces to add color to your home. Now that you’ve created a color palette for your home, you can use it as a guide to decorate and add color to your home. When you’re looking to color coordinate your home, try to stick to your color palette for your major decor pieces. Chances are, since you selected colors you love, you already have a lot of decorations that match the colors you selected. Shop seasonal clearance for your favorite colors. This is one of the best ways to decorate your entire home for a fraction of what it would normally cost. You can get insane bargains in the seasonal clearance section, and I’ll let you in on a little secret… a lot of the stuff isn’t even holiday related. And that, my friend, is your gold mine! Thrift stores are another gold mine for home decor. The trick to shopping in a thrift store is to keep an open mind. Don’t look at what the items look like in their current state, because let’s face it, some of the time they’re pretty awful looking. Think about what they’d look like cleaned up with a new coat of paint and a bit of TLC. Plus, repainting the item gives you the opportunity to choose your colors and make sure it matches your decor perfectly! If you already have some decorations in a color that just doesn’t go with your color scheme, don’t throw them out, repaint them! Painting is the perfect way to save money and still get the look you want. When you’re working to color coordinate your home, sometimes you have to think outside the box! There’s no reason to run out tomorrow and replace everything you own because it’s the “wrong” color. Just like all good things, creating a beautifully decorated home with a cohesive color palette takes time. Your home decor will have more meaning and you’ll keep it longer if it is carefully curated from pieces you take time to find instead of hastily pulling together a collection from the latest offerings at your local store. Not every piece of decor in your home needs to be the exact color from your color palette or it’s out. Instead, use your color palette as a guide and decide for yourself how much of your home you want to decorate within your color scheme. You can add other colors here and there to add character to your home and draw attention to certain areas and decorations. One big decoration is better than 1,000 tiny ones. 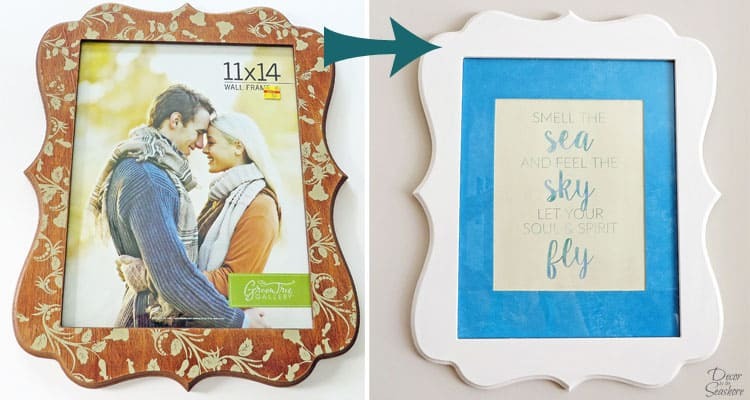 Though it might initially seem like more of an investment to buy larger decor pieces, you’ll save money in the long run by buying one $25 item instead of 10 $5 items. Larger items take up more space and make more of a statement than tiny decorations, so don’t be afraid to go big! It’s even better if the large items match your color palette. It’s an easy way to incorporate more of your colors and seamlessly color coordinate your home at the same time! For example, to say I am obsessed with the color blue would be an understatement. I LOVE the color blue, so it is of course one of the main colors in my home color palette. Now, my entire home is not painted the color blue, because while I love it a lot, even I’m one to admit, that would be a bit overkill. I actually like lighter colors like white and gray for the majority of our home, and I then add pops of my favorite colors around the house. It makes those items stand out even more and adds a beautiful dimension to our home decor. To save money, I shop summer seasonal clearance and have a small plethora of blue paint in my craft stash for all my blue needs. So what do you think? 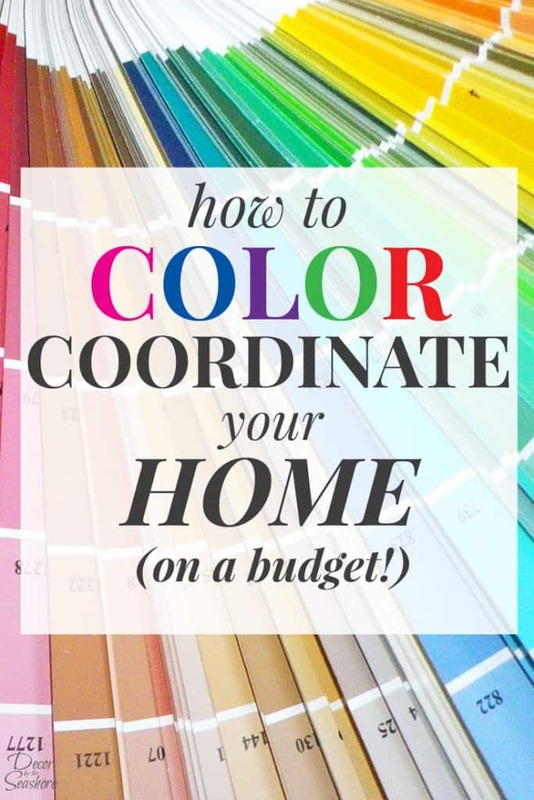 Are you ready to color coordinate your home? I promise it’s not nearly as hard as it seems. Once you create your color palette and start adding pieces to your decor that match the palette, things will fall into place pretty easily. You’ll find that decorating decisions are much easier to make once you have a color scheme to follow, and your home will have a cohesive look that matches your tastes wonderfully. What colors do you love to decorate with? Feel free to chat about it in the comments! And if you enjoyed this post, you’ll love my newsletter. Sign up below for weekly craft, DIY, and home projects and tips! 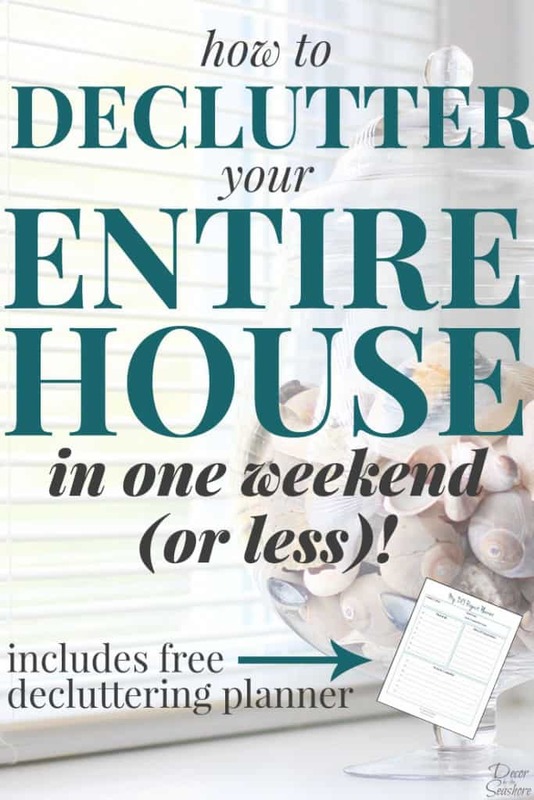 « How to Declutter Your Entire Home in One Weekend (or Less)! These are all really great ideas Celeste. I find that I am also at a stage now where I am trying to pare down my color selections. I’m neutralizing what I can (as in slipcovers) and working around the rest that are harder to paint (as in giant wall unit). I like your color selections. And that blue is very pretty not too dark or too light but it has just the right amount of impact. Thanks so much, Mary! Adding in neutrals and paring down the other colors is the perfect way to color coordinate your home! And you know how I am about my blue… can’t live without it! Celeste, this is such an informative post, with so many great tips and tricks! I love your tip on going with neutrals for larger items! 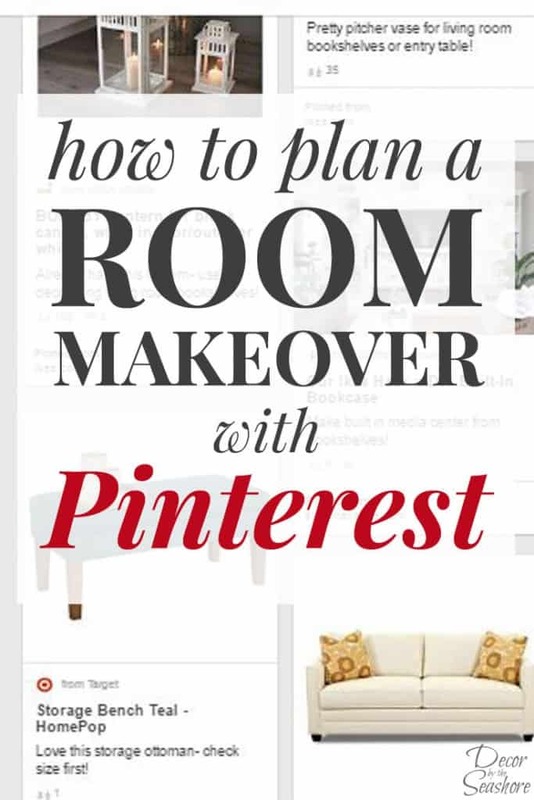 I definitely follow that rule and it makes it so much easier to update your decor with just switching out accessories versus needing to replace furniture or repaint entire rooms because your taste change! Thanks, Linda! Neutrals definitely make it easier to work with when it comes to color coordinating! It’s so much easier to decorate around them than have to worry about replacing a big ticket item when you no longer like it! These are great tips Celeste. I agree with your advice wholeheartedly. It can be intimidating to colour coordinate, particularly in open concept spaces, but starting with a neutral palette and building from there is definitely the way to go. Like you, I love colour and use my accessories to add pops of it here and there. My favourites are green, blue and yellow. Can’t get enough of them!